Thursday Evening Kayak Pool Sessions – Available to Book Now! 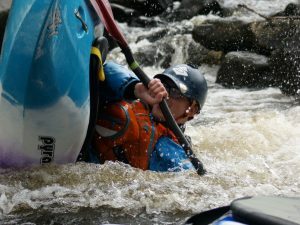 Learn How to Paddle or Refine Your Roll! Thursday Evening Pool Kayak Pool Sessions Available to Book Now! Winter pool sessions are now available to book online via the Halifax Canoe Club website. Coached sessions run from October to March at Salendine High School and you can choose from a 1 hour evening course that starts at either 7.45pm or 8.45pm – 5 coached sessions will cost only £35*. *Additional £5 insurance and admin fee for non- club members.